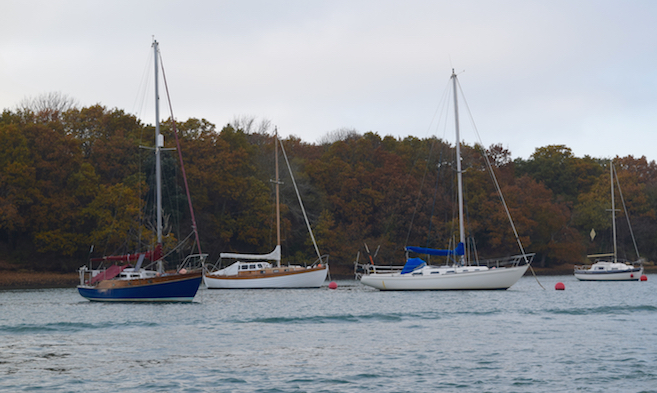 Invitations to annual mooring holders to renew their mooring for 2019 were sent out in November and we would be grateful if you could please return the annual licence renewal form as soon as possible. Please note that annual mooring renewal payments are due by Wednesday, 2nd January 2019. A monthly instalment payment option is now available by direct debit mandate, with the first payment due by 2nd January 2019 and the licence to be paid in full by 30th June 2019. Additionally, we plan to introduce a new online payment system during 2019 and will appreciate your cooperation in the early stages of the roll-out. For all enquiries, and to update your contact information, please get in touch with the Cowes Harbour Services mooring team on 01983 297821 or send an email to shepards.chc@cowes.co.uk. • Visit our Harbour and River Moorings website section. • See at a glance the different types of moorings on offer with our Mooring Location Chartlet.